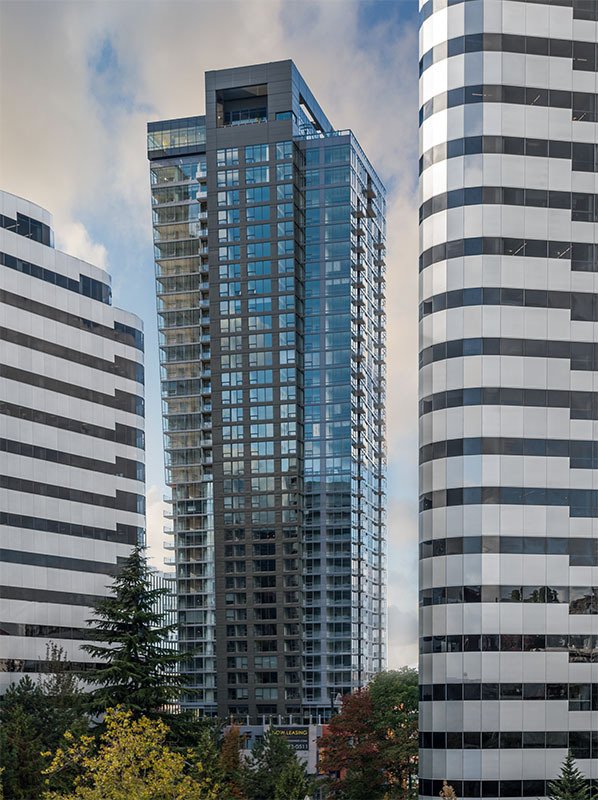 Home / News & Press / Kinects Tower receives an Excellence in Concrete Construction! Kinects recently received an award for Excellence in Concrete Construction by Washington Aggregates & Concrete Association and Washington ACI Chapter. Bumgardner worked closely with CKC structural engineers and Andersen Construction to maximize cantilever slabs, minimize columns and take advantage of a building where each floor is 3” wider on three sides than the floor below it. The result is particularly dramatic on the interior, where units feel like glass cubes sliced by sloping columns of raw exposed concrete. To improve structural performance and enhance constructability, the Kinects Tower uses high-strength concrete and high-strength reinforcing bar.